How did Bookaholic Bookkeeping, LLC start? 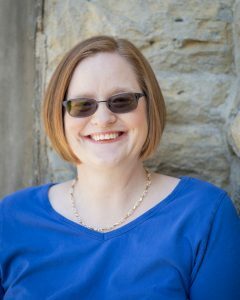 In February 2018 Nicole Stanforth founded Bookaholic Bookkeeping in response to requests from friends to help with their books. Nicole Stanforth holds a degree from the University of Cincinnati. She worked ten years as a Full Charge Bookkeeper before starting her own business. Nicole now works with both Small Businesses and Non-Profits. Bookaholic Bookkeeping is committed to helping owners have financial information they can understand. We believe owners can use it to make the best financial decisions for their company or organization. When she’s not deep in books, (both financial and literary) Nicole Stanforth can be found around town with her daughter’s Girl Scout troop, participating in events at her church, or volunteering with Compassionate Communication of Greater Cincinnati. She is a Mental Health Advocate. Nicole leads the St. John’s Cares team for the Out Of The Darkness Walk, which benefits the American Foundation for Suicide Prevention. She also participates in the annual NAMI walk and Hunger 5K. Nicole loves taking nature hikes with her family and playing cards. Challenge her to a game of Words With Friends!